:Neil Anderson's classic book Victory Over the Darkness has helped millions of readers find freedom in Christ as they experience spiritual breakthroughs. But is not enough to break free from the past. Those who want to grow in Christ must follow Him faithfully by learning about Him as a true disciple. Anderson's eight-study Victory Series shows believers how to become firmly rooted in Christ and set apart for Him. The second study in this series, Your New Identity, is comprised of seven sessions that will deepen your understanding of God, the Trinity, and what it means to have assurance of salvation. Includes a leader's guide, reflection questions, and practical application. 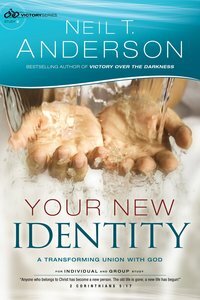 About "Your New Identity (Bible Study) (#02 in Victory Series)"